A mild hint of lemon and the fragrant nuance of oregano makes this Greek Inspired Lemon Oregano Pita Bread a complete standout. After a few months away, this is my first time back baking with the #TwelveLoaves baking group, and I couldn’t be more excited! This month’s featured theme is “Crackers, Crisps and Flatbreads,” and as you can tell from my photos and post title that I’ve chosen to share a flatbread recipe. Making homemade pita bread is relatively easy, and I’m positive that the more you make them, the easier and better you’ll become. In all honesty, I don’t feel as though my pita is as thin as they should be, and mine didn’t puff in the middle like the should have…but as far as taste, I do know that these are exceptional! The only thing that you’ll need to plan for when making these Lemon Oregano Pita Bread is the amount of rising time you’ll need to allow for (three and a half hours from start to finish). But other than that the ingredient list is very basic, and the hands-on steps are very easy. Before I share the recipe, I would like to remind and encourage you to click on the links at the end of this post to see all the other #TwleveLoaves baker’s recipes. See if they’ve chosen to share recipes for crackers, crisps or flatbreads. I’m excited just thinking about it! -In the bowl of a stand mixer, dissolve the yeast and honey in the warm water. Whisk in the oregano, lemon zest, and 1 cup of the flour. Set aside for 15 minutes for the mixture to rise and form a loose sponge. -Add the olive oil and salt to the yeast mixture. Place the bowl onto the stand mixer and add the remaining flour. Use the dough hook to knead the dough on low speed until the dough is soft and slightly sticky but will form a ball. *Note – more flour may be needed to accomplish this. If more flour is needed, add only a tablespoon or two at a time. Knead the dough on low with the dough hook for 5-6 minutes. -Turn the dough out onto a lightly floured surface and form into a ball. Spray the empty bowl lightly with olive oil spray. Return the dough back into the bowl and spray the top of the dough lightly with olive oil spray. Cover the bowl with plastic wrap and allow the dough to rise until doubled in a warm, draft-free place for 1½ – 2 hours. -Turn the dough out onto a lightly floured surface. Lightly pat the dough into a flat circle shape about 1″ thick and divide the dough into eight equal portions. -Form each of dough segment into a ball by tucking the points under and by gently rolling them into balls. Place the dough balls on parchment lined baking sheets (four per sheet) that have been sprayed lightly with olive oil. Continue the same process with the remaining dough segments. 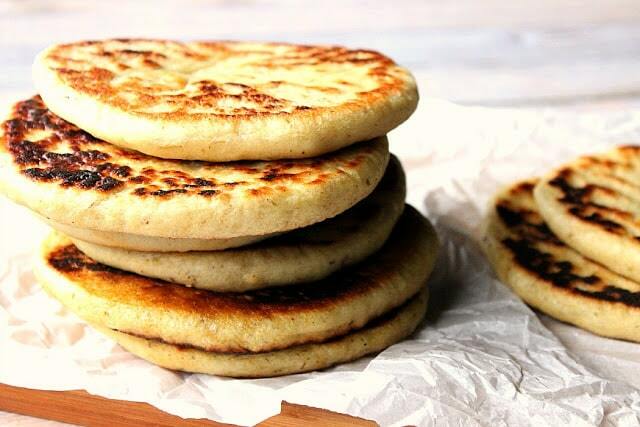 -Press the dough balls lightly to form approximately ½” thick discs. Cover the dough discs lightly with plastic wrap and allow to rest for an additional 30 minutes. -Heat a cast iron skillet over medium/high heat. Press each disc to a thickness of ¼” keeping the circle shape intact. Brush the skillet with a little canola oil and gently lay one pita at a time in the skillet, cooking to blister and brown the surface (approximately 50-60 seconds). Carefully flip the pita and cook the second side for an additional 1-2 minutes. Flip for a third time and cook for an additional 20-30 seconds making sure the center is cooked. 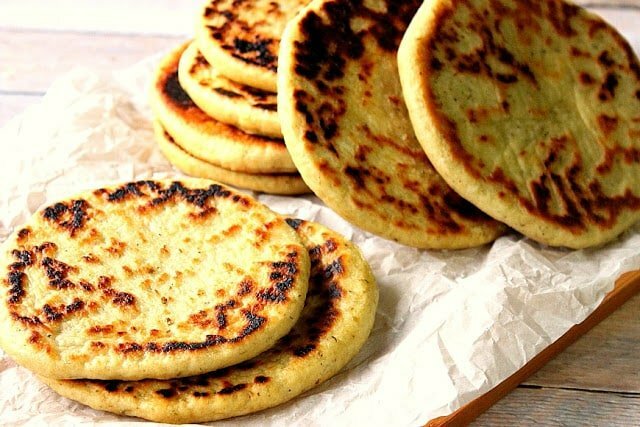 -Remove the cooked pita to a baking sheet and repeat the same process with the reaming dough. 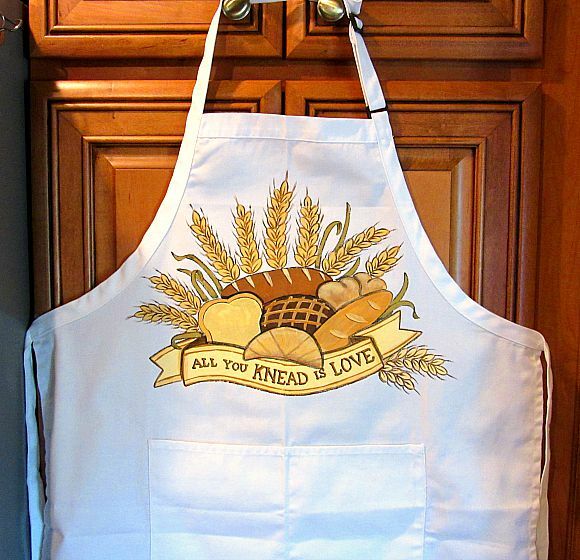 After all, “All you KNEAD is LOVE”…. Thank you, Lora. I'm so glad to be back! I used these pita last night with tzatziki and ground lamb. They were delicious! I'm so happy that you're back with twelve loaves this month, Renee! 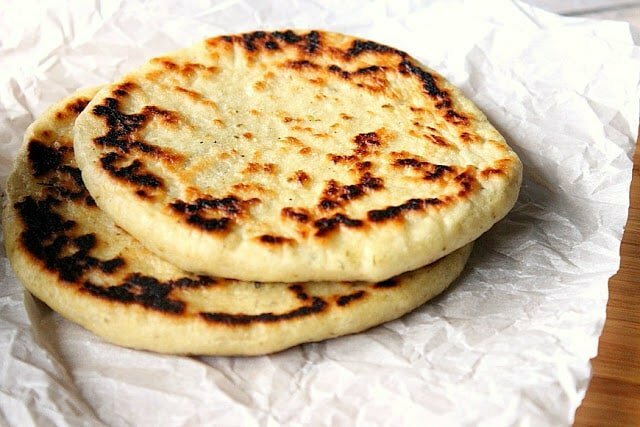 Pita is such a great bread, I just love the chewiness it has, and I can almost taste the nuances of lemon and oregano – delicious! Thank you, Heather. It's a pleasure being back. I missed baking bread! Your step by step photos really bring me into your kitchen and I think your pita is gorgeous! 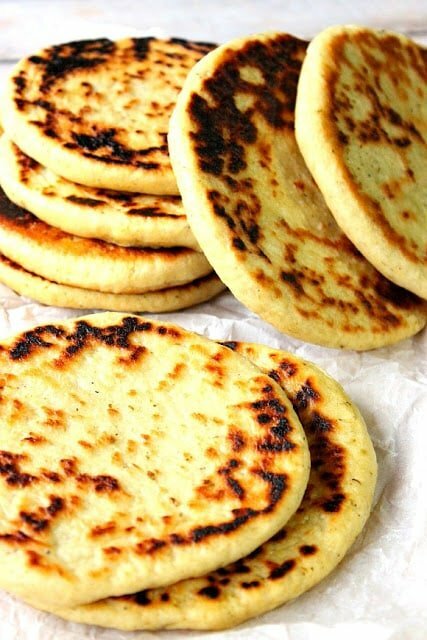 Ah pita bread. I could eat my weight in it. Love the addition of lemon and oregano. This looks way better than any store bought pita bread I've ever seen or tasted! I really like your addition of lemon and oregano to the dough, Renee! It sounds wonderful! Your pita bread is delicious! I agree that just about anything you make yourself beats what you can buy. Now I am craving a gyro. Time to make some pita bread! I have never made my own pita, Renee! I'm inspired. I cannot wait to try these! 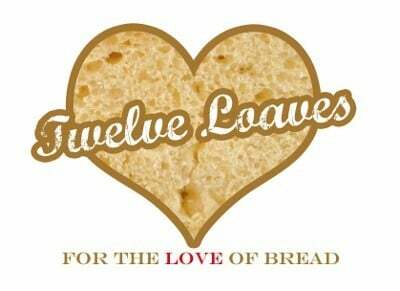 Thanks for joining #TwelveLoaves this month for my crackers, crisps, and flatbreads event. I love the look of these pitas. I love the flavor profile of these! I love homemade pita! Adding lemon and oregano is a wonderful idea. Totally gorgeous Renee! The step-by-step photos are awesome! Welcome back! And back with a bang, I might add. These are awesome! Love the addition of lemon–one of my favorite flavors. These are definitely going on my must-bake list. Thanks! 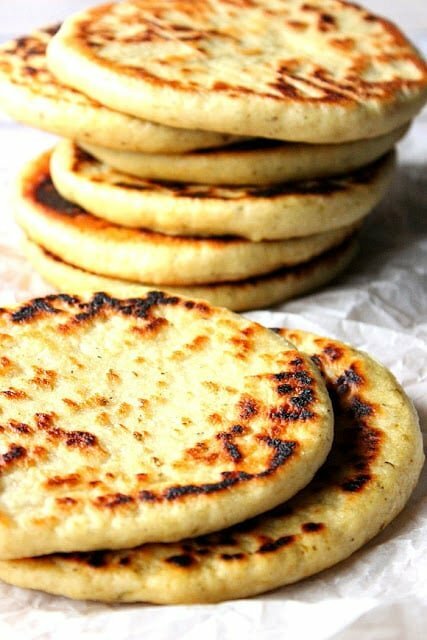 Adding lemon and oregano to that pita bread, I could just imagine the aroma that was wafting through your kitchen as they baked, Yummy! I seriously want to take this pita bread and use it sop up tzatziki sauce and LOTS of roast lamb. So much yum! This looks way better than any store bought pita bread I’ve ever seen or tasted! I really like your addition of lemon and oregano to the dough. 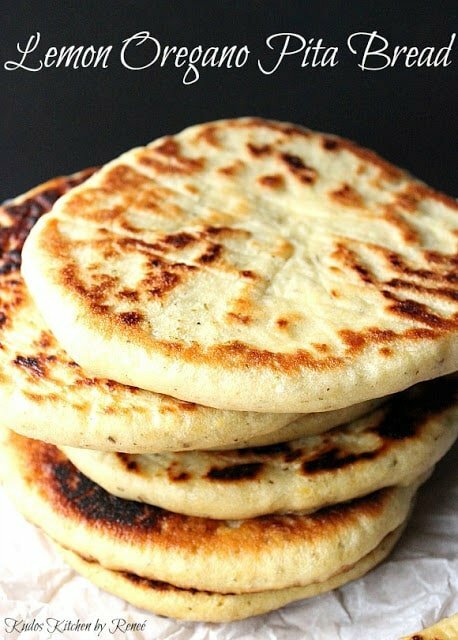 I would surely try to have my hands on this one because I have my own pita bread maker machine at home, due to which I can make them anytime.